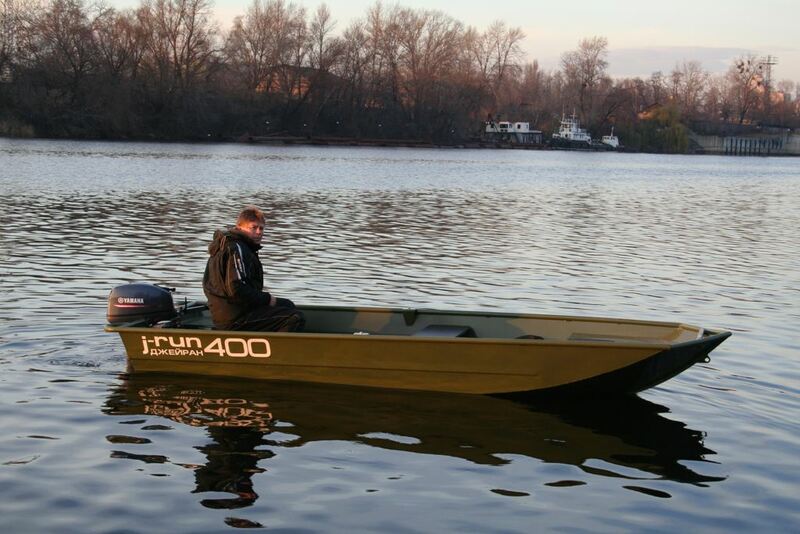 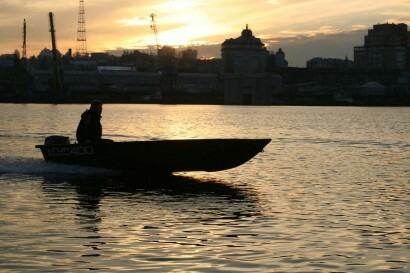 Due to its original hull lines, the new model UMS-400 J-RUN is excellent for hunters and fishermen. 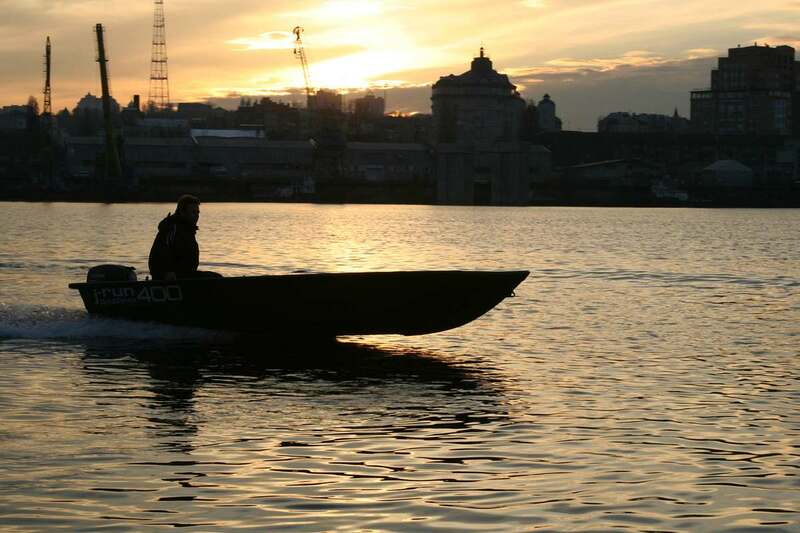 Built-in buoyancy blocks provide emergency unsinkability of the boat. 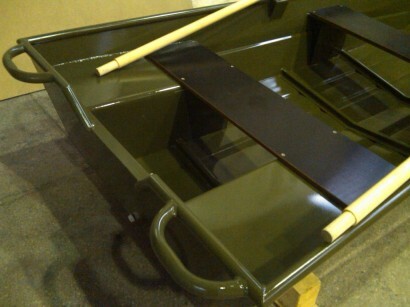 Lightweight construction allows to confidently move the oars or by using a small engine. The practicality of an all-welded aluminum hull allows not to take care of a special off-season storage.